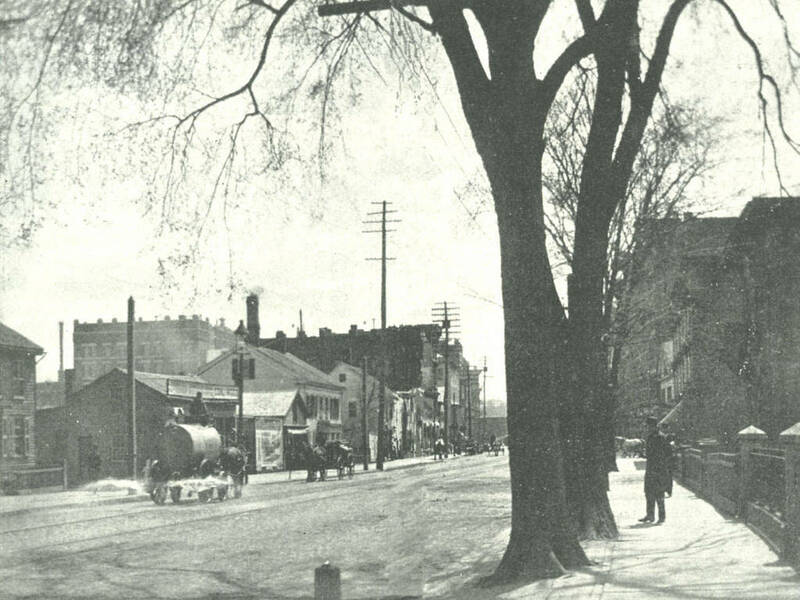 Main Street looking south from Emery Street in Springfield around 1892. Photo from Picturesque Hampden (1892). Aside from the railroad arch barely visible in the distance, I’m pretty sure there’s nothing in the 1892 scene that still exists today. 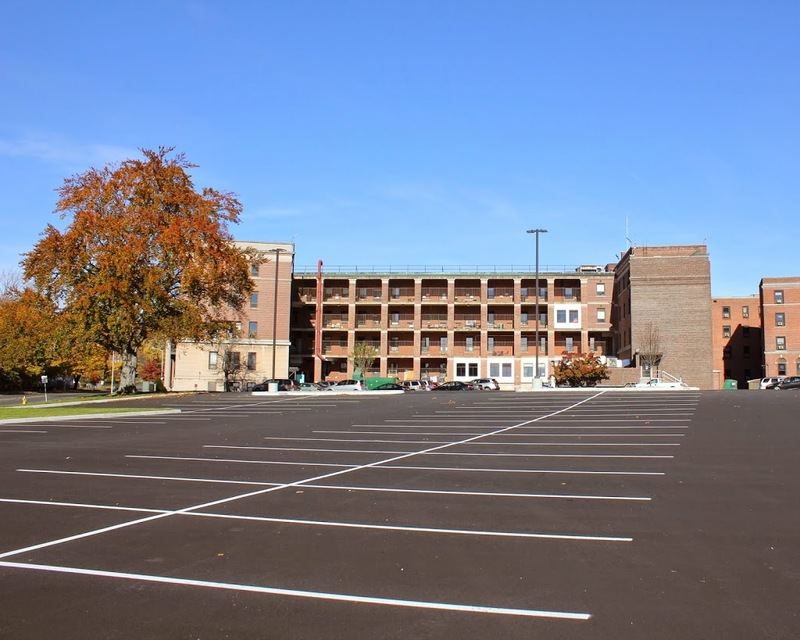 Unlike in other neighborhoods of Springfield, the North End retains very few historic buildings; just about the entire area between the railroad and I-291, extending a block on either side of Main Street, is new development from the 1970s. The 1920 city atlas shows literally hundreds of houses and other buildings in this area, but today there is not one permanent resident within nearly a quarter mile of this spot. Instead, there are commercial developments and highways. 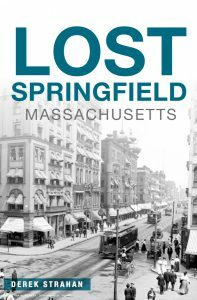 The Springfield Republican offices are to the right, and across the street is the US Post Office. Not visible to the left of the post office is a shopping plaza, and beyond the Republican building on the right is the Peter Pan bus terminal. 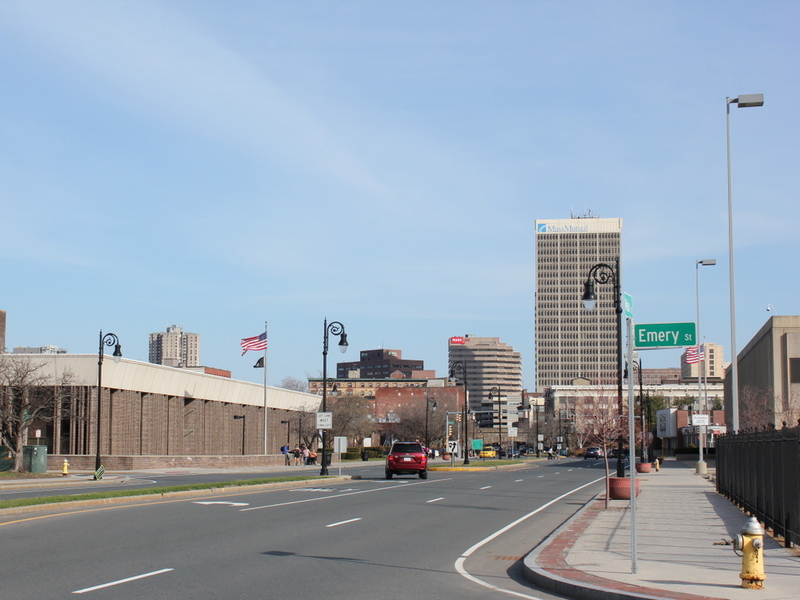 In the opposite direction, looking north along Main Street there are several professional offices, and then the sprawling I-291 interchange with I-91, both of which consume substantial real estate in the North End. 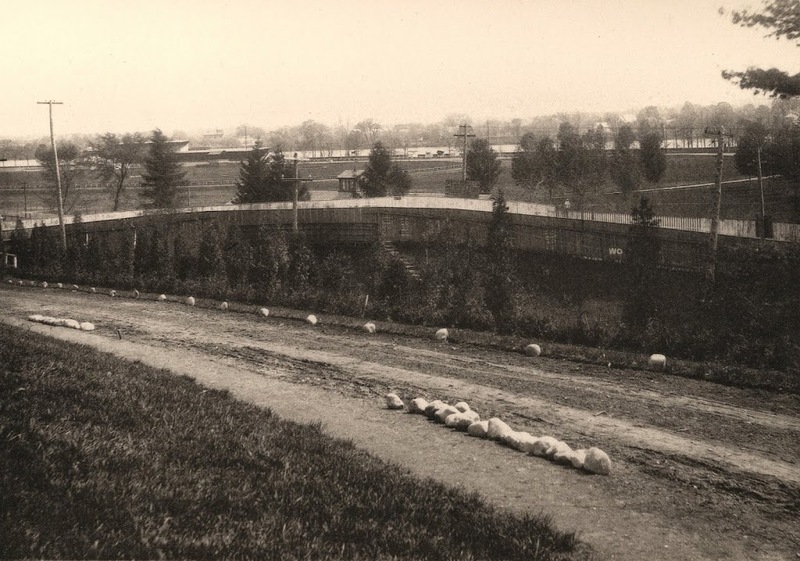 The view of Hampden Park from the North End of Springfield, around 1882. Photo from Springfield Illustrated (1882). 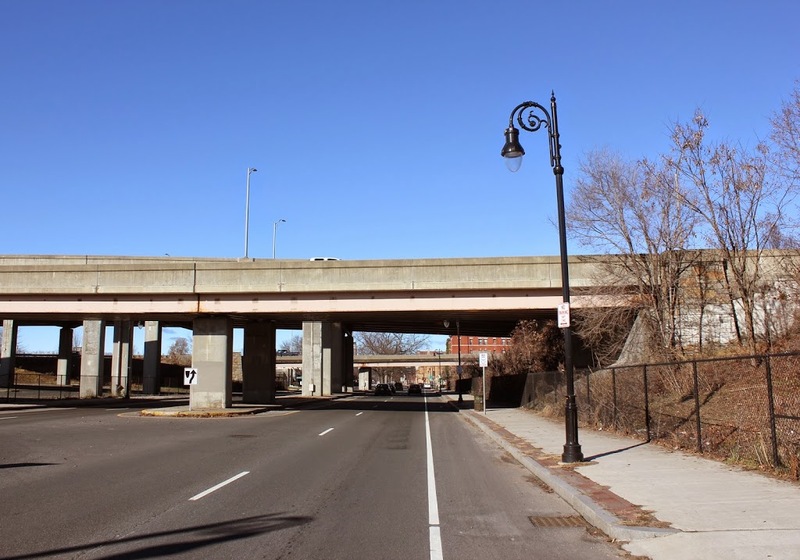 The location of the second photo isn’t exact – the actual location would be somewhere in the southbound lane of Interstate 91, so I did the next best thing; I took the 2014 photo from a bridge over the highway. Either way, not much remains the same today. 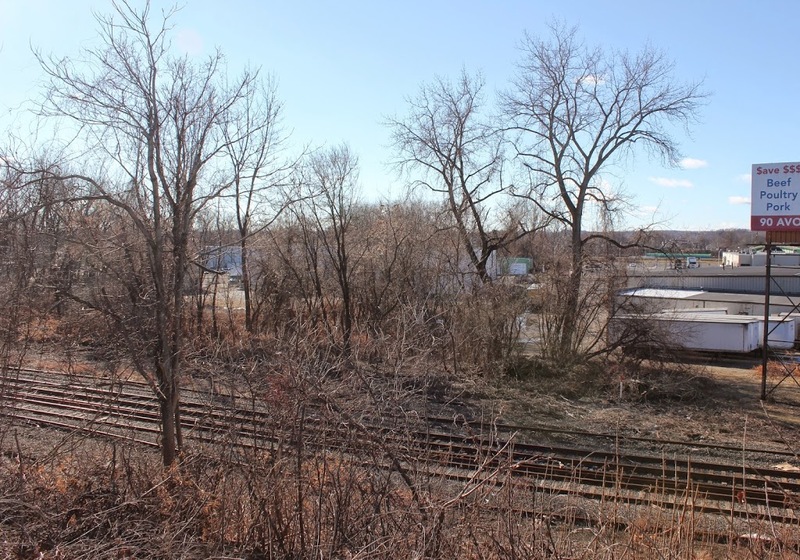 The railroad tracks are still there, as is the Connecticut River, but otherwise it’s a completely different scene. Hampden Park is visible in the distance; this was home to bicycle races, minor league baseball games, and even the occasional college football game. A more in-depth history of the park is explained in this post. In later years, the part of Hampden Park closest to the North End Bridge became Pynchon Park, and was the home of several different minor league teams until the 1960s. 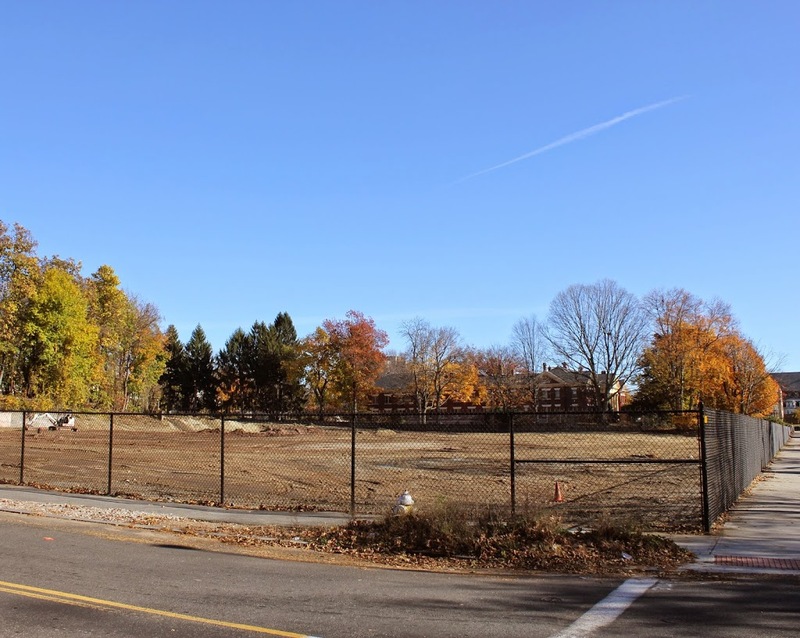 Today, the former site of Hampden Park is now primarily industrial, with warehouses and other facilities on the spot where Harvard and Yale used to play early college football games. Pynchon Park is now a Pride station, and can barely be seen through the trees just to the left of the billboard on the right-hand side of the photo. 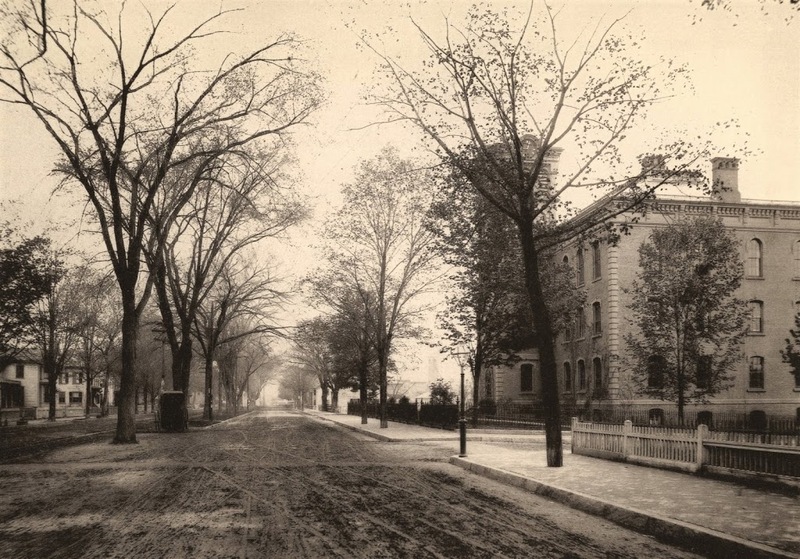 Main Street in Springfield, looking toward the North End near Congress Street, around 1882. Photo from Springfield Illustrated (1882). 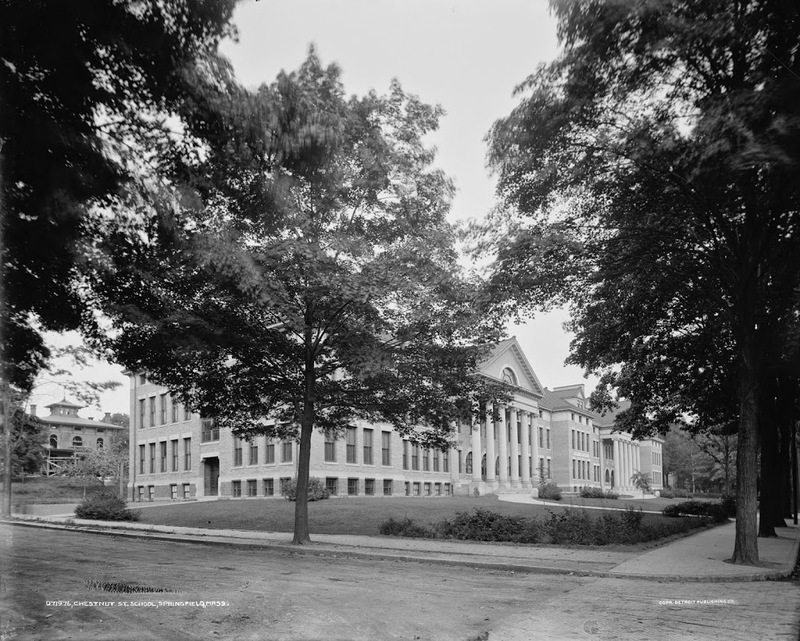 The building was still being used as a school by the time the 1910 atlas was published, but by 1920 the school had moved to a different location a few blocks away. The old building was apparently still there, though, and it was labeled as “Old School Building.” Obviously, the school building is no longer there, although it was likely gone long before the interchange between I-91 and I-291 was built here. Today, Main Street itself is the only thing left over from the first photo, although instead of trees in the median, it now has concrete supports for the elevated highway. 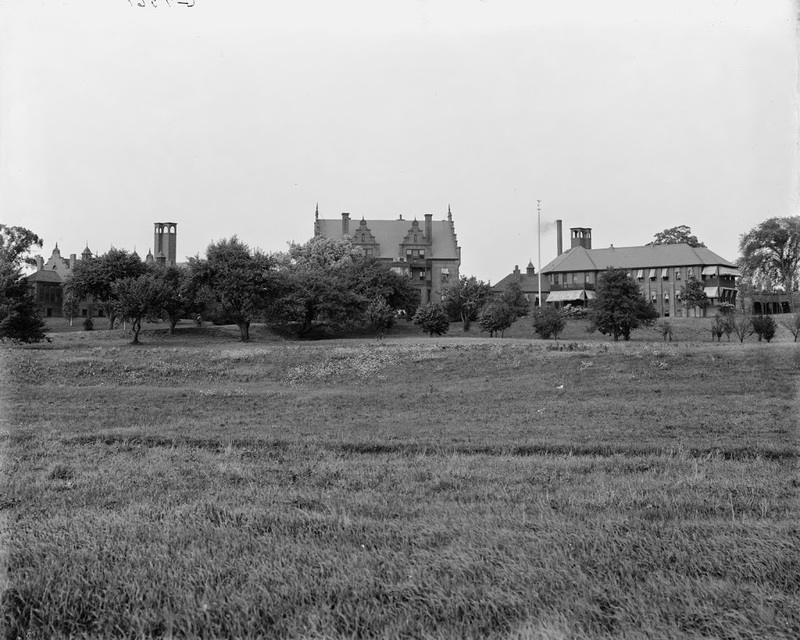 Springfield Hospital, around 1905-1915. Image courtesy of the Library of Congress, Detroit Publishing Company Collection. 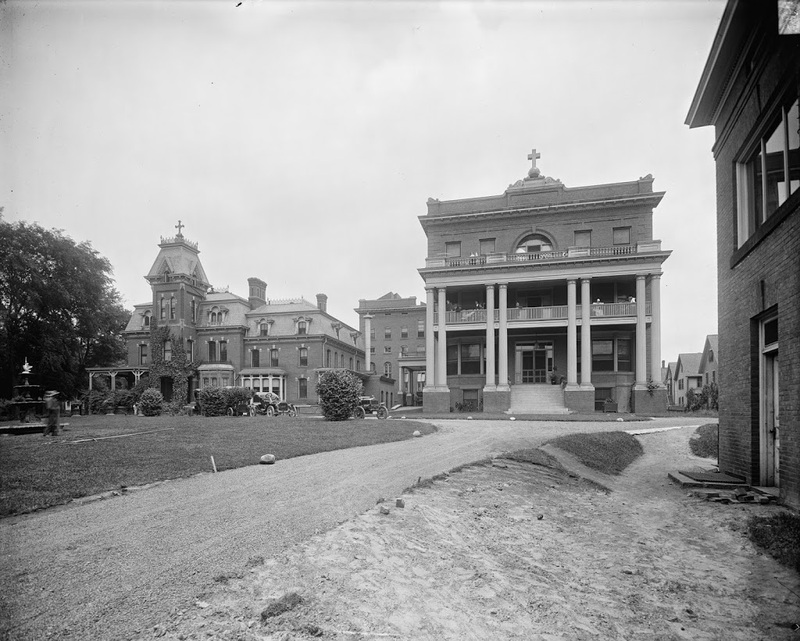 From its humble beginnings as Springfield Hospital in 1883, this location has grown into one of the largest hospitals in the state. 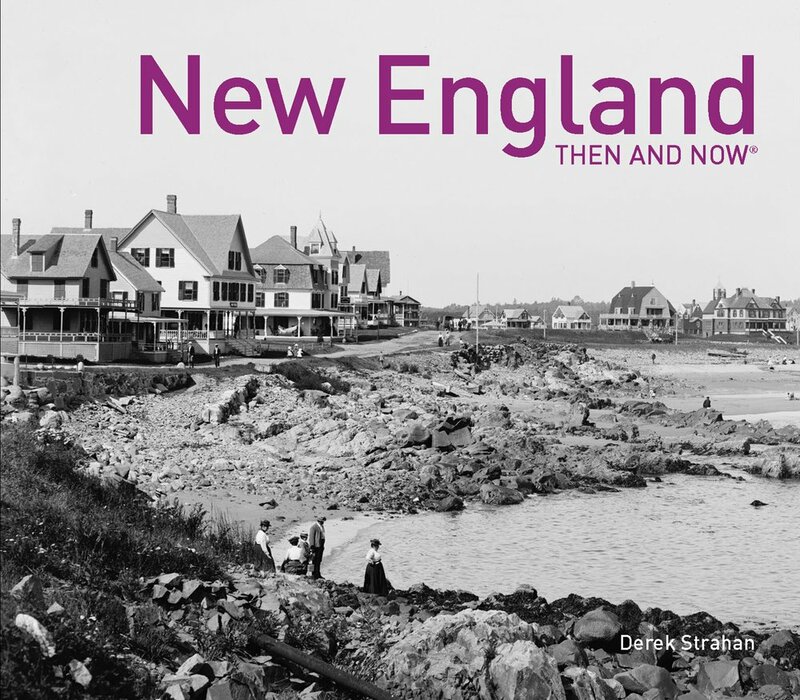 The first major expansion happened within 20-30 years of when the first photo was taken, when the building in the 2014 photo opened. 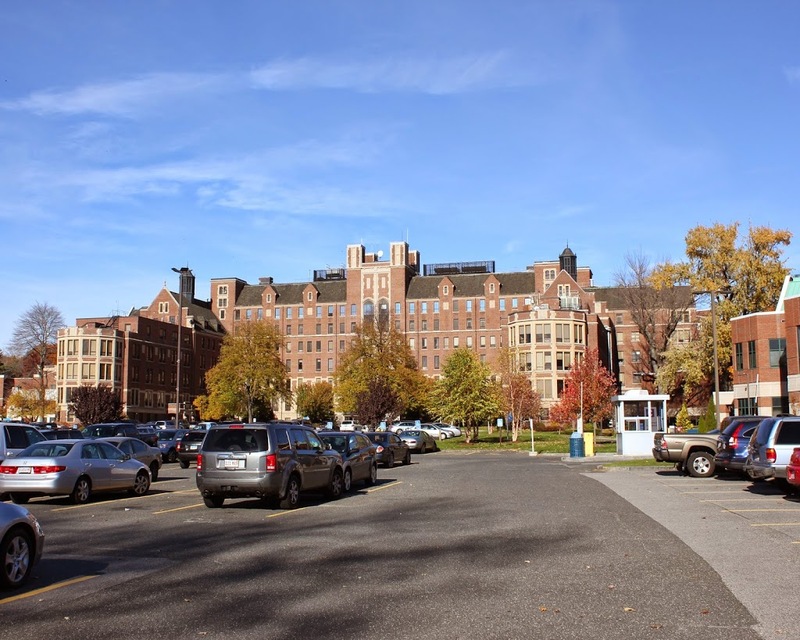 Since then, the hospital has significantly expanded the area behind this building, and the large, grassy area in front of the hospital is now a parking lot.